Tamiya Toyota FJ Cruiser Black Special Release « Big Squid RC – RC Car and Truck News, Reviews, Videos, and More! 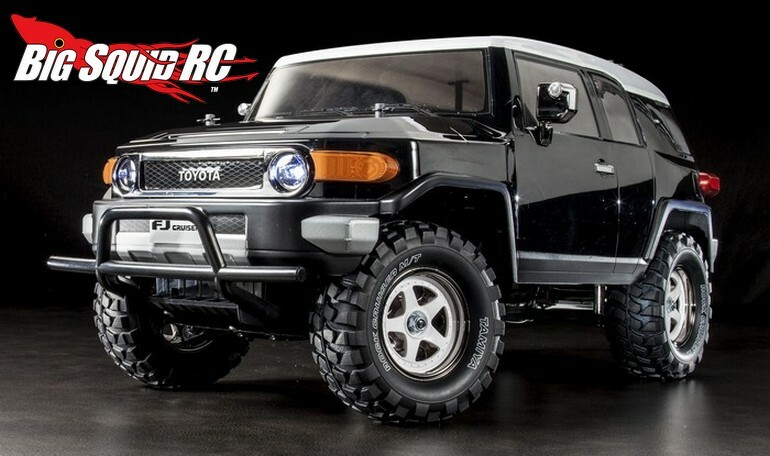 Coming soon from Tamiya is a special release of their Toyota FJ Cruiser that comes with a Black Pre-Painted Body. The pre-painted body helps ensure a sharp looking vehicle while saving the hobbyist time. Under the hood is the CC01 cross country chassis with independent front and 4 link rear suspension. The Toyota should have a street price around $319, it has a part number of #58620, and they should start hitting hobby shops in November. To get even more details hit This Link over on the Tamiya USA website. Click Here for more Tamiya news on BigSquidRC.